Traveling domestically and internationally can present a challenge when looking for vegan vegetarian food items or restaurants. Upon arriving to my travel destination; I am usually focused on navigating an unfamiliar public transportation system and getting mentally prepared for sports event. I like bringing my own food and discovered MISO-CUP reduced sodium soup. 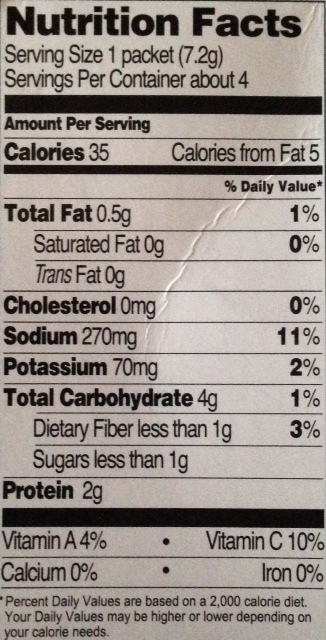 1 MISO-CUP box has 4 single serving soup packets. On the side of the box I noticed a special offer for an attractive MISO-CUP Soup mug. The mug is $3.99. All proceeds from the offer are donated to the reforestation agencies Save the Redwoods, Rainforest Action Network and American Forest Foundation. 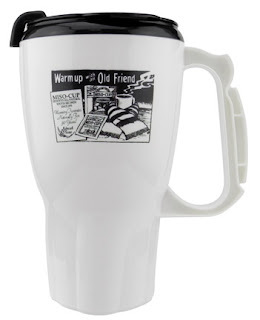 I needed a mug so I wrote a check for $3.99 to MISO-CUP Soup Mug Offer and mailed it to P.O. Box 1326, Carpinteria California 93014, USA. 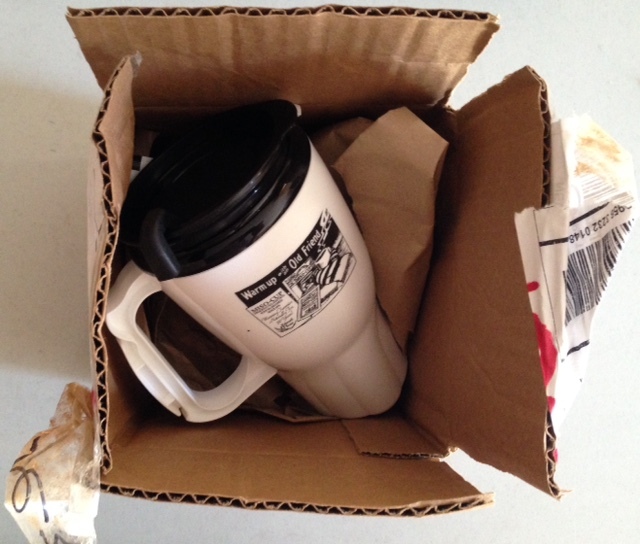 I LOVE THIS MUG + all the packaging contents are recyclable. If you do not have recycling available, most United States Postal Offices have a blue bin for paper mail recycling. The mug is easy to wash and there were free samples inside the mug as an added surprise. When I prepare my mug for the day I add some chopped basil or cilantro from my garden. 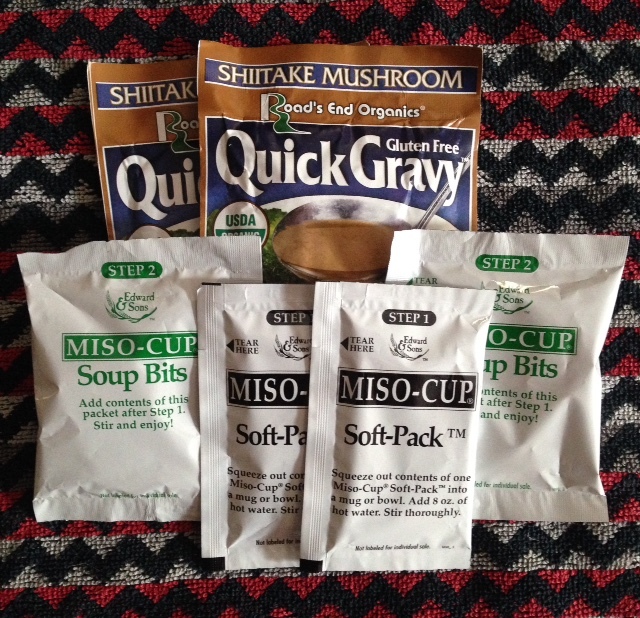 All I will have to do is add the MISO-CUP packet contents and hot water later in the day for a great lunch or dinner. I highly recommend purchasing the MISO-CUP Soup mug offer and MISO-CUP Soup! This soup cup looks so useful.I did not know about this soup cup before.I would definitely get my hand on this soup cup anytime soon.